Today I’m interviewing Christy Mann, author of some seriously scary stories. Here’s a bit about her in her own words. I’m Christy. I’m old enough to know better about most things but still young enough to do them anyway. I’m single as well, so I actually get to do them. I have 3 adult children, and I’m from Phoenix, Arizona originally. I currently reside in West Monroe, Louisiana with my daughter, her girlfriend, 2 dogs, 3 cats, a guinea pig, and about 20 fish. I spend my days clickety-clacking on a keyboard, writing full-time. When I’m not writing, I spend my time meeting people and getting to know what they are about, working on my Life On Your Terms project, and hanging out with my family and friends. CM: Coffee, and lot’s of it! DR: What is your favorite song and why? CM: The Sound of Silence – Disturbed cover because it speaks volumes about how I feel as a writer and my life in general. DR: What is your favorite color? Teal? Check. Unicorn? Check. Christy’s perfect logo! DR: Where’d you get the idea for your stories? CM: Journals, fears, and phobias of my own and other people’s, mental illness. DR: What genres do you like best? CM: Horror, psychological thriller, sci-fi, erotica, urban fantasy. DR: Where can we find your books on the Internet? CM: On my website. I’m also on Patreon, Facebook, and Twitter. 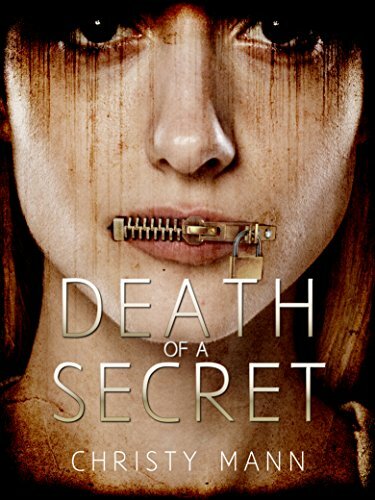 Don’t forget to have a look at Christy’s books on Amazon by clicking on the cover of Death of a Secret below!